We had a fascinating problem from a customer in Leicestershire today – it was reported as ‘Either the laptop has had it, or the projector needs replacing’ – both pretty expensive. 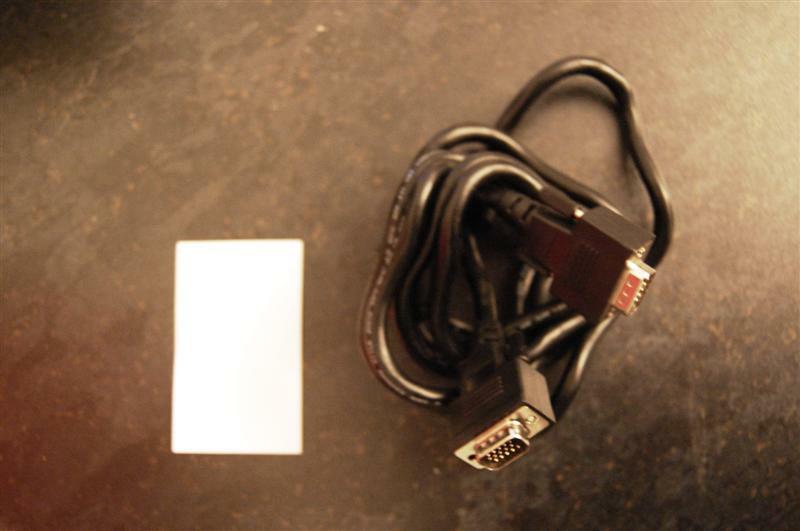 Fortunately, I got the connecting 2m (yes two metres) VGA cable out of the bag. Alongside this throttled specimen is a bog standard business card. A simple replacement cable seems to have done the trick!